The speed at which Bicep have risen through the ranks is staggering. Two years ago they were bedroom bloggers; now, they're among the most hyped producers around. Here, they pop up on Kevin Saunderson's KMS label with "Vision of Love", the typically tough and wide-eyed chunk of US house revivalism that originally surfaced on their eponymous label last year. It's devilishly simple, with a few key ingredients - big piano riffage, subtle strings and booming beats - being whisked together to produce a peak time delight whilst the cheeky usage Inner City vocal samples is what has lead to it being reissued through KMS. 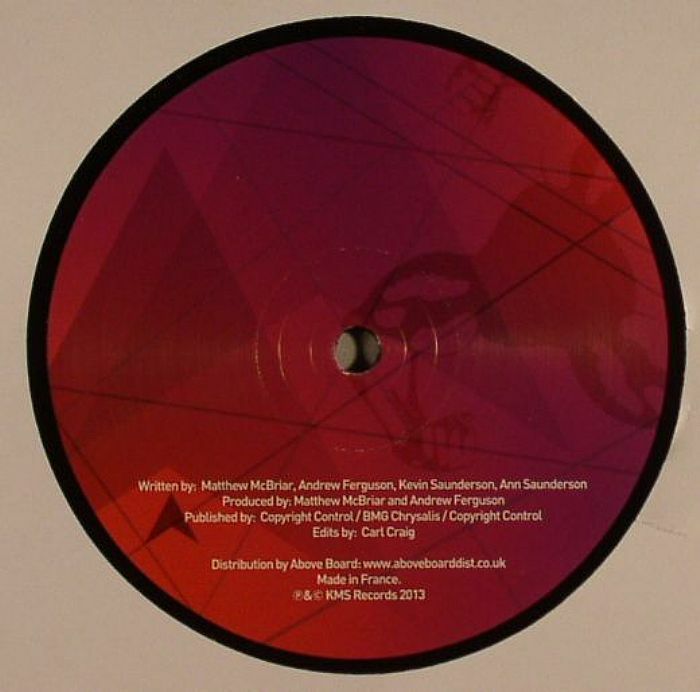 Carl Craig edits, delivering a version that expertly teases out the piano and vocal, via a few well-placed drops and effects. It's this version that hits home hardest, but we wouldn't expect anything less.